Can you afford to wait for cooling tower parts in the event of a breakdown? A water treatment company is taking care of your cooling tower water quality, but who is looking after its mechanical and general components? Address faults before something fails. …. Can you afford to wait this long? 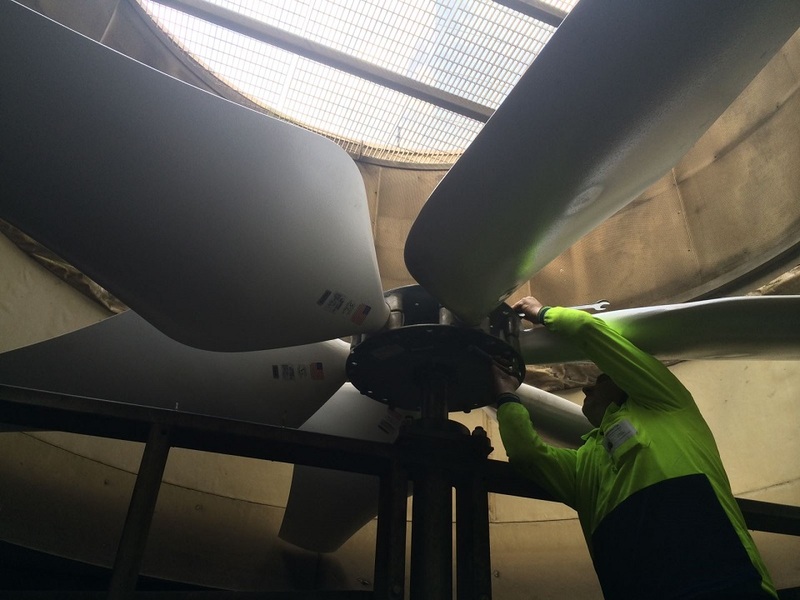 Coolclean inspects cooling tower components as a preventative measure. We provide a condition report together with photos. An inspection may not identify an issue, but it is better to be proactive, rather than risk faulty components causing disruption, bacterial contamination or poor cooling performance. 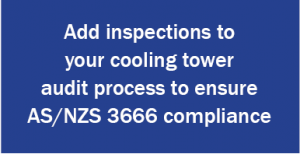 A Coolclean mechanical and AS/NZS 3666 inspection includes all cooling tower components that require maintenance, including difficult to access areas. Following the inspection, we will provide you with an independent report, together with photos, and a quotation to rectify any issues. To reduce liability and Legionella risk. To extend the life of a cooling tower, evaporative condenser or fluid cooler. To reduce exposure to risk and warranty issues. To identify cooling tower operational issues early, so that breakdowns are avoided and corrosion and other damage can be rectified. To reduce energy, chemical and water use. Coolclean technicians have a full understanding of cooling tower confined space entry and height access regulations. Specialised in-house training enables our technicians to enter all areas, including BAC cooling tower ammonia condensers. Check that your cooling tower is in good working order. Contact us to arrange for an inspection.